We’d love your help. Let us know what’s wrong with this preview of Deep Girls by Lori Weber. Deep Girls tells stories that defy the conventions of YA, sweeping aside the clich�s of life, love and family, giving us stories of girls whose lives mirror the world that young readers see around them. The young women in these stories, on the verge of adulthood, start seeing their parents and families in a new light of vulnerability. We see family members at their worst, w Deep Girls tells stories that defy the conventions of YA, sweeping aside the clich�s of life, love and family, giving us stories of girls whose lives mirror the world that young readers see around them. 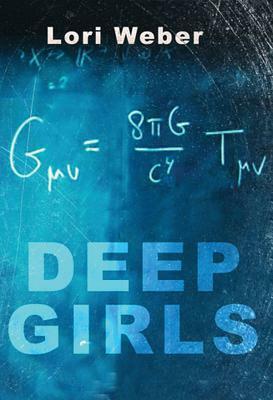 To ask other readers questions about Deep Girls, please sign up. I received this as an advanced reading copy and thoroughly enjoyed it. I love that the stories are realistic and these could be stories from people you know. They're not perfect lives but they're certainly relatable. well enough to write in. became a mentor and really encouraged me to develop this passion. could, to immerse myself in writing culture. company and assistant editor for a Public Relations newspaper at McGill. published, along with some poems, in small press magazines. I went outside. We stayed in St. John’s for two fantastic years.